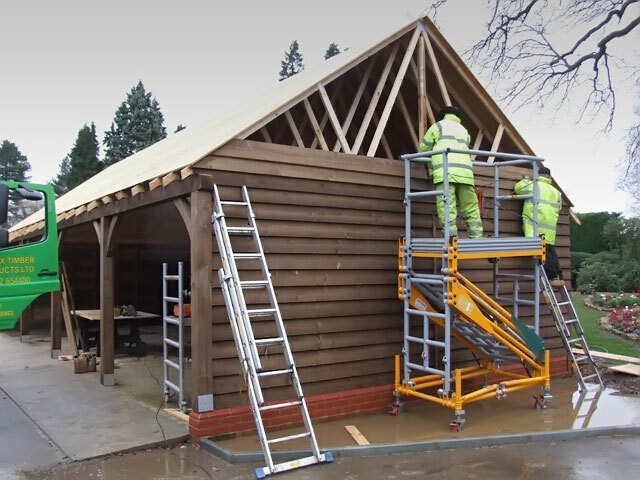 Our speciality is in the design and construction of bespoke timber buildings. 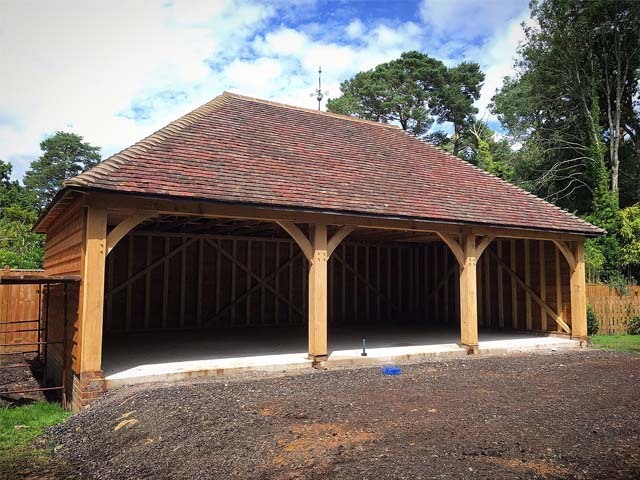 We manufacture timber garages, timber carports and sectional timber buildings of all descriptions. 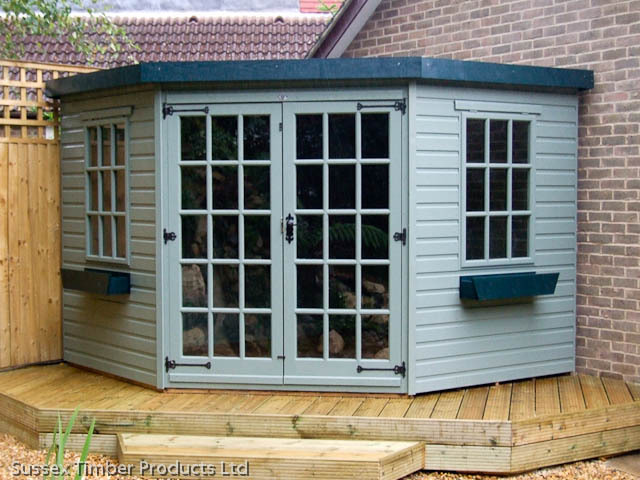 Garden buildings of all types including - garden studios, home offices, sheds, chalets, summerhouses, mini-sheds, garden tidies, workshops, solar sheds and potting sheds. We take pride in the manufacture of made to order garages, carports and sectional buildings of all descriptions; including carriage sheds and cart lodges, industrial / farm / utility buildings, gyms, wooden classroom buildings and many more. We have installed hundreds (probably thousands) of buildings, garages and carports over the years, the knowledge of which has helped our installation team become fast and efficient, but they still retain an eye for detail and maintain pride in their work. A well constructed base is an important part of the overall integrity of your timber building. 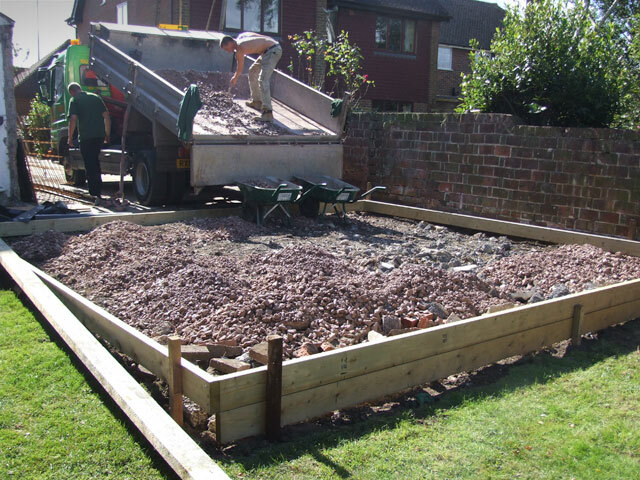 Our experienced groundwork team have the expertise to landscape and construct the ideal complimentary foundation for your building, however large or small. Very very happy you cannot fault the team at Sussex Timber products fantastic job very clean and tidy nothing was too much trouble for them highly recommend and would certainly use again if only there were more tradesmen as good as these. First class service and an extremely high quality finish ! Very professional team and so quick to build. After shopping around i got the best price quoted from these guys for my double car port, really would recommend to anyone who is looking for a timber structure. Many many thank to Gary and his team. Just a quick note to thank you for your prompt attention in response to my call the other day. It’s good to see that the standards of service are still high within your business and I appreciate your efforts. Request a copy of our latest brochure, and we will send one in the post. Do you need more information? Make an enquiry with absolutely no obligation.